At the MediaPost OMMA Global Conference in New York, marketing executives emphasized that customer relationships are essential in today’s digital world. As a result, it is a constantly evolving process to develop the strategic and media initiatives required to build, maintain and strengthen these valuable customer bonds. 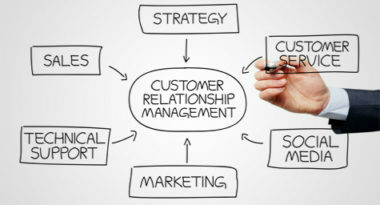 MediaPost.com reported on why building these customer relationships can be the true determinant of social media marketing success. While customer relationships have always been vital to a brand’s success, the primary difference today is the abundance of technology available to reach and resonate with consumers. The explosive popularity of digital and mobile devices, along with the dynamic nature of technology, ensure that companies can be constantly connected with consumers. But they must be flexible enough to change their marketing plans based on the current trends and latest technology. It’s no longer wise to develop a long-term marketing plan when the digital environment is constantly changing and advancing. Marketers now have the task of staying aware of technological trends if they want to stay on-target. If you’re interested in incorporating the power of social media into your brand strategy, contact MDG today at 561-338-7797.